Van-Far held Courtwarming activities on Monday, Feb. 4 between the junior varsity and varsity boy’s basketball game. 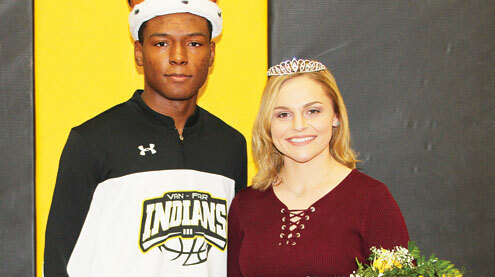 Verlyn Johnson and Jordan Garner were crowned king and queen. Find court photo and more sports highlights on pages 10-11 of this week’s edition.